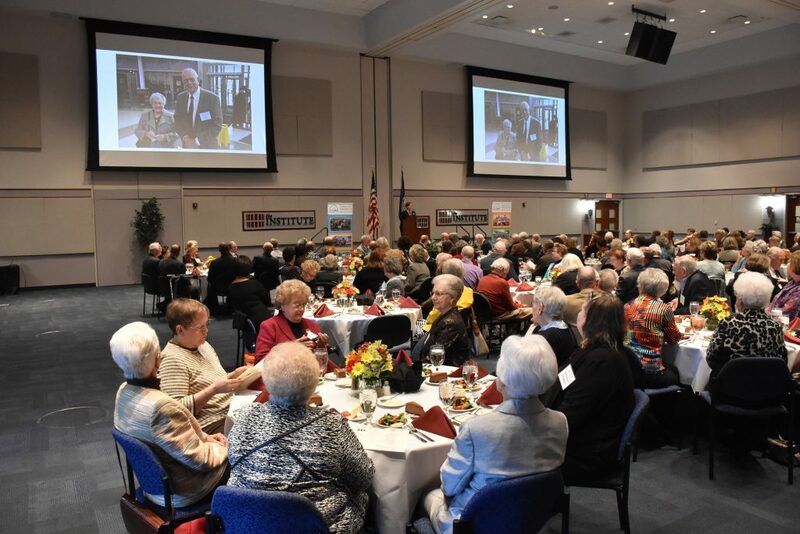 DANVILLE, VA –The Community Foundation of the Dan River Region highlighted its continued growth at its Appreciation Luncheon held Thursday, November 8, 2018 at the Institute for Advanced Learning and Research. Since 1996—The Community Foundation has received $12.2 million in bequests and awarded $20.2 million in grants and $2.5 million in scholarships to more than 1,100 students! Scholarship donors, Gail and Walter Gunn, spoke about what inspired them to create the Gail and Walter Gunn Scholarship in 2015. This scholarship is for local African American students with a preference for those studying business or with an entrepreneurial interest. Thus far, the Gail and Walter Gunn Scholarship has awarded three scholarships to students attending University of Pennsylvania, Guilford College and Averett University. Pat Daniel, Executive Director of Big Brothers Big Sisters, spoke about the impact Community Foundation grants have made on Big Brothers Big Sisters. 2006 was the first year The Community Foundation awarded Big Brothers Big Sisters a grant, which was to support programming on sexual abuse prevention and awareness as well as anger management. Since then, Big Brothers Big Sisters has received more than 10 grants totaling $125,550. A special video recognized two scholarship recipients, Danielle Jeffers and Brent Jones, who spoke briefly about how the scholarships they have received over the past years allowed them to attend the university of their choice. Without the help of the Roy L. and Mary G. Doss Scholarship and the Steven Bruce Daniels, Jr. Scholarship, both of which are renewable for four years, Danielle and Brent may not have been able to pursue their dreams of furthering their education. The Community Foundation’s mission is to improve and enrich the lives of people in our community by encouraging the generosity of donors. Donors may establish their own endowment fund to support particular areas of interest or may make unrestricted gifts to any existing fund. For more information, contact the Community Foundation at 541 Loyal Street, Danville, VA 24541, (434) 793-0884 or visit their web site www.cfdrr.org.